The London based indie rock/psychedelic rock five-piece quickly rose to the attention of indie bloggers everywhere after the single “Left Myself Behind” surfaced online in late 2011. A second single entitled “Motoring” (read review) was released on April 23, followed by “Lose My Way” (read review), which emerged online early August. Both “Motoring” and “Lose My Way” showcased the band’s ability to write short and snappy 90’s inspired, lo-fi indie/shoegaze with hints of krautrock. The former displayed elements of Swervedriver, Ash, and Echo and The Bunnymen, while the latter recalled Sonic Youth. It’s rare thing these days when you think you have a band pegged, judging them by their singles, only to then put the songs into context and realize your original analysis and perception merely scratched the surface. The previous comparisons above seem less relevant and instead on their self-titled debut album TOY recall Ride, Chapterhouse, meets The Horrors circa ‘Primary Colours’. In places there are also hints of Faust (think “Krautrock”), Neu! (think “Für Immer”), and Can (think “Oh Yeah”), The Velvet Underground (largely due to the excellent synth/keys of Alejandra Diez), and even Bowie. As you might expect the whole record sounds extremely organic, fluid, and at times experimental. No cut and paste Pro-Tools job here; this is the sound of five guys filling the room up with layers of sound, tweaking knobs and dials with more effects and toys (pun intended) at their disposal than imaginable. The album features 12 tracks and nearly an hour’s worth of psychedelic, avant-garde indie/shoegaze. The first track “Colours Running Out” has a strong late 60’s / early 70’s vibe awash with swirling guitars and held together by a steady lo-fi beat and a brilliant prog style bass line. One of the most immediate songs on the album with a Ash meets Ride vibe, “Colours Running Out” contains a great vocal hook while the keys at 2:30 add a tripped-out layer giving all but a taste of what’s to come. With an authentically 60’s keyboard melody, “The Reasons Why” has an avant-garde dreaminess that calls to mind The Velvet Underground while “Dead & Gone” contains the lo-fi indie/shoegaze side to TOY that was shown on their singles. However at 7:40 in duration, the song plays out like a voyage alaNeu! The instrumental “Drifting Deeper” is a tripped out, sci-fi sounding, slice of krautrock, while “Motoring” and “Lose My Way” will more than satisfy your pop needs both with hooks aplenty. Similarly, “Make It Mine” recalls Chapterhouse in part and showcases more of the indie/shoegaze side of the band but still retains all the psychadelia of the rest the album. “My Heart Skips A Beat” is a “ballad” of sorts and dressed up with 60’s style strings and songwriting smarts again recalling The Velvet Underground while “Walk Up To Me” is laid back, gorgeous, and dreamy. As its song title suggests the heavily psychedelic “Strange” is indeed an odd one, and features a fractured and somewhat disturbing main riff accented by a creepy sounding keyboard layer. Things certainly come to a climax during the hazed drenched and The Horrors reminiscent final track “Kopter” where the band thrashes about with manically during the whole of its 9:51. Beginning with a Neu! like drum and bass combo, the keyboard hook which emerges ensures the song is in embedded your brain long afterwards. TOY is certainly not a “listen once and then discard” album; it requires multiple listens with every play revealing more layers and more discoveries to lose yourself in. At a time where songwriting has become largely formulaic and genres have become stagnant and segregated, TOY are completing upping the ante, providing music for those who seek more than the predictable and the banal setting new creative standards for other bands to aspire to. A dreamy delight – the debut from TOY is of the highest quality. 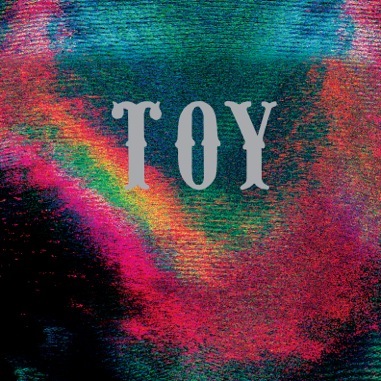 TOY’s self titled album was released on 10 September. Rough Trade are currently offering an exclusive limited edition bonus 6-track CD if you order from their store. The band is currently offering a stream of the album in its entirety via their website.